A best selling India title on the direct experience of the Goddess and deeper Yoga practices by an important modern practitioner and teacher. The book has already undergone several reprints and regarded as a classic in the field. It unfolds a living encounter with the Goddess, such as rare in modern times. It consists of many poignant and unique episodes in the transformational life in one in whom the Yoga Shakti is awake and active at a moment by moment basis. We recommend the book to those who want to know the essence of Tantra and the worship of the Goddess in a clear expression and relative to daily life. Contains many wonderful and inspirational stories. The book shows the true Yogini as a woman of profound inner experience and realization, not merely an asana adept. 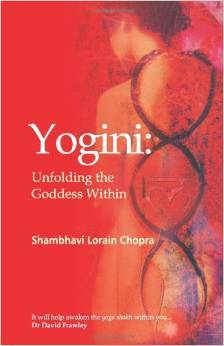 Yogini Shambhavi Chopra, the author, brings a powerful inner personal experience with the Goddess into her stories and teachings. This is the first of her many creative productions.